← What’s the Best Love Story of All Time, Camilla? 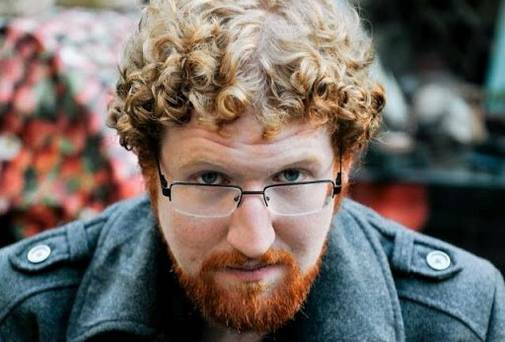 Dave Rudden, agented by our own Clare Wallace, is the debut author of The Borrowed Dark trilogy which has recently been snapped up by Puffin Editorial Director Ben Horslen in a significant pre-emptive deal. The translation rights have already been sold in France and Germany in a six-figure pre-empt and the film rights are currently being hotly fought over. Vicki Le Feuvre was able to grab a moment with Dave between all his recent radio interviews to discuss everything that has changed for him since he brought his brilliant protagonist, Denizen Hardwick, into the wider world. Vicki Le Feuvre: So, to get this ball rolling I wanted to first of all ask: on a scale of one to ten how psyched are you? Because I think we’re levelling off at about a constant 52 at this point. Dave Rudden: My feet honestly haven’t touched ground since I got that first phone call (on the morning of my twenty-sixth birthday, if you can believe it). VLF: Where were you when you got the call from Clare Wallace telling you about the six-figure deal she’d made with Puffin Editorial Director Ben Horslen for World English rights of your trilogy? DR: I was in a Pound World on George’s Street in Dublin, counting the change in my pocket and dubiously eyeing 50p packets of soup. Needless to say, it was a very welcome phone call. VLF: What has changed in your life since that day or are we still in the calm before the storm, do you think? DR: I’ve received a lot of lovely congratulations messages but overall I think it’s still the calm before the storm, which I’m actually really pleased about. I’m currently working on the sequel to The Borrowed Dark and I’m hoping the Spring 2016 release date means I’ll have all three books finished and ready to go by the time the first one comes out. That means I can relax and enjoy it! (or start the next book to be honest, I wouldn’t know what to do with myself if I wasn’t writing). VLF: The German and the French translation rights for The Borrowed Dark have already been sold. Do you speak either of these languages or do you have any plans to get Rosetta Stone-ing so you can read your translations? DR: I am hilariously awful at languages, much to the disappointment of every Irish teacher I’ve ever had. There’s a French character in the book and the Knights of Borrowed Darkness [important figures in the trilogy] use a lot of Latin so there are phrases in other languages littered throughout the book. Luckily I have a few French and one Medievalist scholar friend (doesn’t everyone?) and they do some translating for me, which I promptly mangle in the service of good prose. VLF: Let’s talk about The Borrowed Dark – because everyone else is now. Could you summarise the heart of your story in tweet form? DR: Denizen Hardwick believes heroism should be optional but he’s just been thrust into an ancient war between iron-handed Knights and horrors from the dark end of creation and it’s proving rather hard to find anyone to agree with him. VLF: We’ve all fallen for your brilliant protagonist, Denizen Hardwick. So we wanted to know how he came to be. Did he spring to life fully formed, perhaps frowning over a pile of books? Or was there more of a process to his creation? DR: Denizen came from a lot of places. I wanted to write a character who wasn’t a natural hero, a teenager who questioned things. Denizen Hardwick has read far too many books at this stage of his life. It has always bothered him that when people find out there’s a magical world beside their own they immediately sign up without inquiring about dark lords, giant lizards, ancient curses or inconvenient prophecies. He has absolutely no illusions about how long he would last in a world like that, which is of course why I decided to pitch him into one. The fun part is watching him learn that it’s that scepticism that actually makes him perfect for the role of hero. The really fun part is watching him fight that realisation for as long as possible. I owe his name to the fantastically talented Dee Sullivan, writer of the Prim series of YA novels. We meet for writing sessions every few weeks and after a long and strange conversation she basically dropped the name ‘Denizen Hardwick’ in my lap. VLF: We’re almost at the end of our 11 Ways Not To Start Your Novel series on here. If I can gush for a moment, your first line of The Borrowed Dark was what immediately sold me, personally, on your writing. One sentence in and I was already convinced. Do you have any tips on how to write a gripping first line? Your first line is your introduction. It’s your handshake. Your first shared smile. Put yourself in the mind of the reader and decide what reaction you want from them in that first moment. They don’t know how deep your prose is or how exciting you’ve made the end of Chapter 3 – they’re standing in Waterstones and they’ve opened your book out of idle curiosity. You need to hook them from the first line. I wanted to sum up the tone of the novel as much as possible in my opening, to let them know that this is a novel with a dark smile, a jaunty wave and absolutely no regard for the safety of children. VLF: If you had to pick, what would you say is your favourite first line of all time? 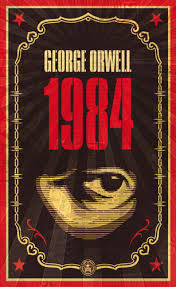 DR: It’s very difficult to choose but there’s something so simple, eerie and wonderful about the first line of 1984. In just a few short words we’re made uneasy – the day is bright, but cold, the clocks are striking an unfamiliar bell – and we know that this world is like our own but wrong in all the little, important ways. VLF: We always like to ask authors a little bit about their writing process when they come on here. Where do you write? And do you have any particular rituals or requirements? DR: During the week, I have a pretty strict regime of a thousand words a day. I’m not one of those writers that can keep a whole novel’s possibilities in his head – I need to write it out, try different things, block the scenes and then go back later and fix them up. I’ll write anywhere, but I get the most work done when I manage to drag myself to a café that does not have Internet access. The Internet is a wild and wonderful place, and unfortunately I am as distractible as a puppy. DR: I perform regularly as a poet and storyteller on Dublin’s art scene, as well as working on the committees of iBbY (The International Board of Books for Young People) and IrishPEN. I also organise fundraisers for literary and theatre concerns, and act as part of the Risky Proximity Players, a theatre company that adapts the work of horror writer Graham Tugwell. Basically anything that allows me to swan about being loud and theatrical. VLF: One of the things we love most about Denizen’s character is his appetite for books. When you were his age what was your favourite book? Terry Pratchett. 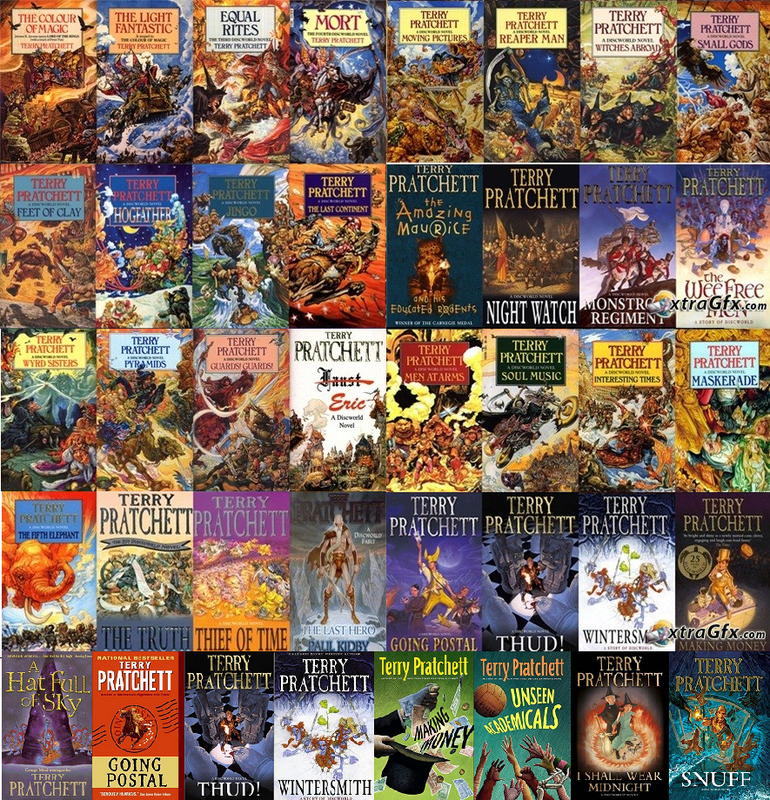 Anything by Terry Pratchett. VLF: This question comes from our Rights Executive, Mary Darby, who wants to know if you were ever afraid of the dark as a child and that’s why you created a whole order of knights to protect us from it? DR: Any time I was outside at night I was firmly convinced that the dark was full of monsters but that as long as I didn’t run or didn’t turn around I was safe. That might have something to do with the creation of the tenebrous – they’re undefined in the dark and only take shape when they come into the light. VLF: A lot of aspiring writers visit our blog. What would your top five tips be to new writers just going into the submission process, as someone who has come out the other side a success? Farm out your manuscript to people so you get another set of eyes. Join a writers’ group, harass your friends (as I did) and make sure you’ve looked at your novel from every angle before you send it out. READ THE AGENTS’ REQUIREMENTS. They will be very clear in their preferred format and you want them on your side from the get-go. Choose the agent you contact carefully. Do your research on each agency and make sure that your crime novel is going to the agent that deals with crime, or YA to their YA representative. Check their client lists and make sure your manuscript is going to someone as passionate about the genre as you are. Be patient. You’ll get rejections – not because the manuscript is bad, but because it mightn’t be what they’re looking for, or they’re already representing someone who’s doing something similar, or any one of a thousand reasons you’re not privy to. Keep the rejections that offer constructive feedback, forget the rest. Read this blog. Little bit of shameful self-promotion, but I wrote a blog for the Dublin Writers’ Festival about the process I went through where I go into detail about cover letters and synopses. I hope it helps! DR: I did a lot of research on agencies before sending The Borrowed Dark out and there are a lot of very complimentary forum articles about Darley Anderson out there, not just from writers who’ve been signed but even from people who didn’t make it all the way through the submission process. The general consensus is that DA are lovely people as well as being terribly efficient and I’m glad to say that’s something I can attest to myself! VLF: And finally, the question I’m sure you get asked constantly. Who would win in a fight – Denizen or Superman? DR: I’m cruel to Denizen sometimes, but I’m not that cruel. Puffin will be publishing The Borrowed Dark, the first instalment in Dave Rudden’s gripping trilogy, in Spring 2016. Until then you can follow him on Twitter: @dreadfulnotion. This entry was posted in Darley Anderson Authors, Interviews and tagged aspiring writers, Ben Horslen, children's, Clare Wallace, Dave Rudden, Mary Darby, Puffin, Vicki Le Feuvre, writing. Bookmark the permalink.